Well, it's that time of year again, when the flowers bloom and the trees start greening and the anime fans descend on Toronto for Anime North 2017. 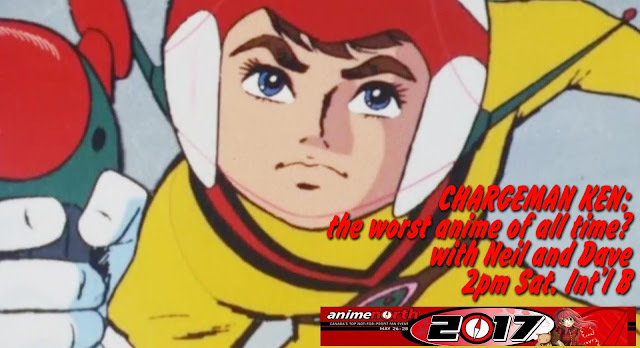 Shain and Dave (of Mister Kitty and Let's Anime fame) will be there as well, holding forth on a wide range of topics for the entertainment of all, and that includes you if you're anywhere near Toronto! Please come by the con and enjoy these, our events! Our Stupid Comics panel returns Sunday with crazy new live descriptions of some of the stupidest comics ever made, some you've seen on the Stupid Comics site and some brand-new to your horrified eyes! Again, free stupid comics will be given away/hurled at the audience! Dave's popular Anime Hell event returns in its long-running Friday night engagement of confusing witnesses for two solid late-night hours. 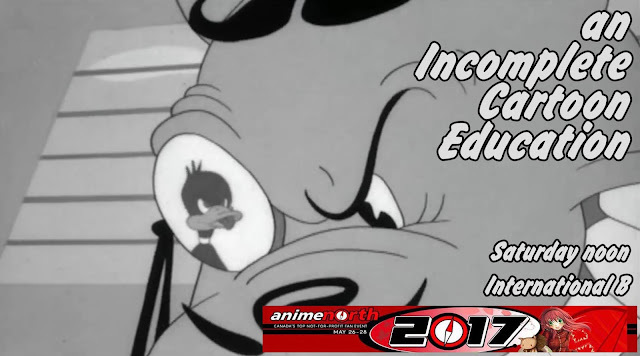 and on Saturday Shain and Dave take you through all the great cartoon shorts of the 40s that we grew watching on broadcast TV Saturday mornings, which is not even a thing any more! 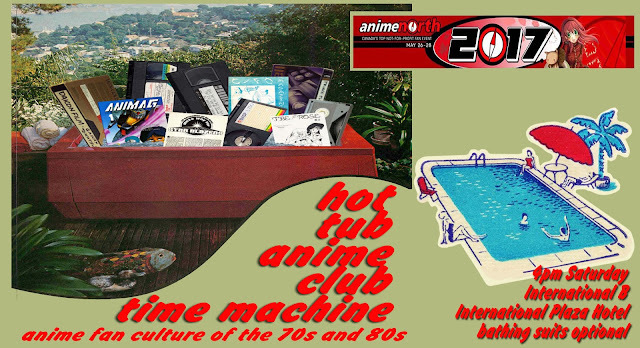 and on Saturday afternoon Dave takes you through a trip back in time to what it was like to be obsessed with Japanese cartoons in the 60s and 70s and 80s. 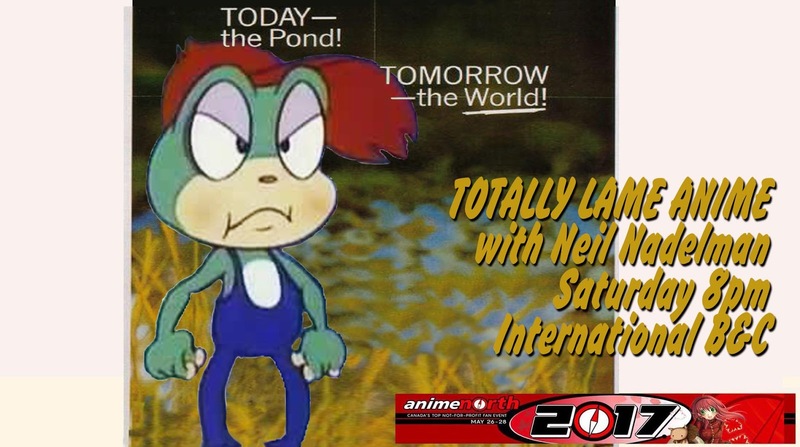 Neil Nadelman's Totally Lame Anime returns to smash your preconceived notions of "competence" and "good taste" as the worst anime in Asia is paraded before your uncomprehending eyes, Saturday night. 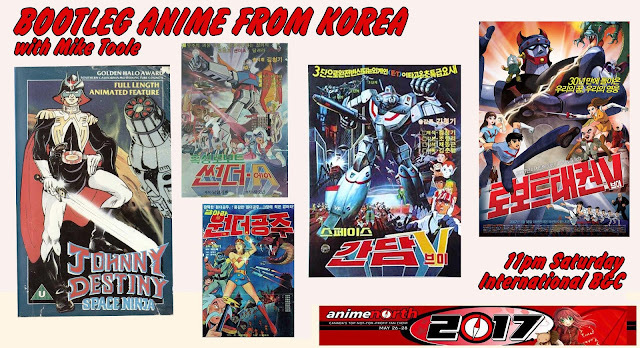 This is followed by expert Mike Toole's exploration of the goofy, quasi-legal world of bootleg Korean animation, starring knock-offs of some of your favorite characters! Speaking of goofy, here's Chargeman Ken, one of the goofiest anime characters to ever goof his way through his own TV series. Is it the absolute worst anime of all time? Let's get with Neil and Dave and find out! 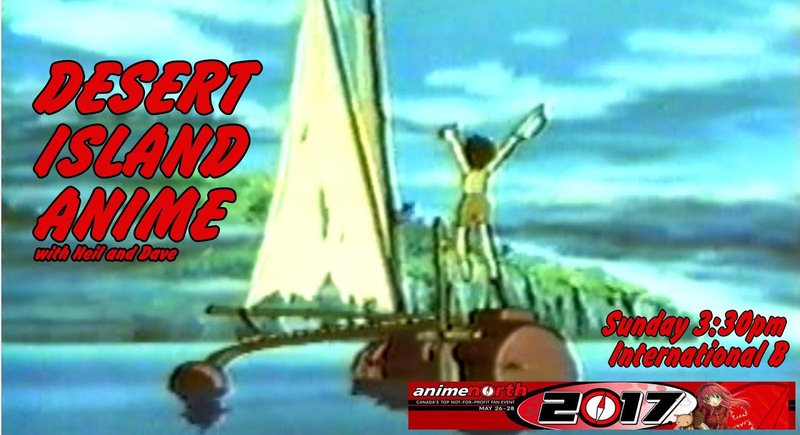 And if you were trapped on a desert island, what anime would you take with you? An anime you could fashion into a radio or a boat? Sure. Get with Neil and Dave and discuss this vital philosophical issue as they display examples of cartoons they'd like to be marooned with. 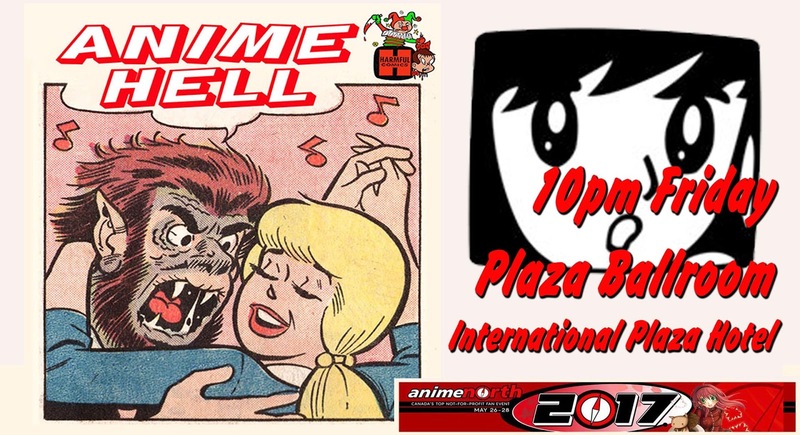 Mike Toole is also doing GHIBLI BEFORE GHIBLI Friday at 8pm, the ANIME ARCADE Saturday at 11am, SHORT CUTS at 3pm, and DUBS TIME FORGOT Sunday at 2pm! You can check the full Anime North schedule here (PDF link) and then you can start packing your cosplay and getting ready for the big show! See you there!